Archaeological site mapping is important for both understanding the history and protecting the sites from excavation during developmental activities. As archaeological sites are generally spread over a large area, use of high spatial resolution remote sensing imagery is becoming increasingly applicable in the world. The main objective of this study is to map the land cover of the Itanos area of Crete and of its changes, with specific focus on the detection of the landscape’s archaeological features. Six satellite images were acquired from the Pleiades and WorldView-2 satellites over a period of 3 years. In addition, digital imagery of two known archaeological sites was used for validation. An object-based image analysis classification was subsequently developed using the five acquired satellite images. Two rule sets were created, one using the standard four bands which both satellites have and another for the two WorldView-2 images with their four extra bands included. Validation of the thematic maps produced from the classification scenarios confirmed a difference in accuracy amongst the five images. Comparing the results of a 4-band rule set versus the 8-band rule set showed a slight increase in classification accuracy using extra bands. The resultant classifications showed a good level of accuracy exceeding 70%. Yet, separating the archaeological sites from the open spaces with little or no vegetation proved to be challenging. This was mainly due to the high spectral similarity between rocks and the archaeological ruins. The high resolution of the satellite data allowed for the accuracy in defining larger archaeological sites, but still there was difficulty in distinguishing smaller areas of interest. The digital image data provided a very good 3D representation for the archaeological sites, assisting as well as in validating the satellite-derived classification maps. To conclude, our study provides further evidence that use of high resolution imagery may allow for archaeological sites to be located, but only where the archaelogical features are of an adequate size. The authors would like to thank European Space Agency (ESA) and Digital Globe for their prompt provision of satellite imagery. GPP’s contribution to this work has been supported by the EU Marie Curie Project ENViSIon-EO (project contract ID 752094). ARB conducted the research described in this study under the supervision and guidance of GPP and GPP together with LT and PKS prepared this manuscript for submission to the journal. Hong, Y., et al. (2008). Discussion on UAV remote sensing image capture and disposal. Remote Sensing Technology and Application. Available at: http://en.cnki.com.cn/Article_en/CJFDTOTAL-YGJS200804020.htm [Accessed December 9th, 2018). Kersten, T., & Lindstaedt, M. (2012). Image-based low-cost systems for automatic 3D recording and modelling of archaeological finds and objects. In Euro-Mediterranean Conference. EuroMed 2012: Progress in Cultural Heritage Preservation, pp. 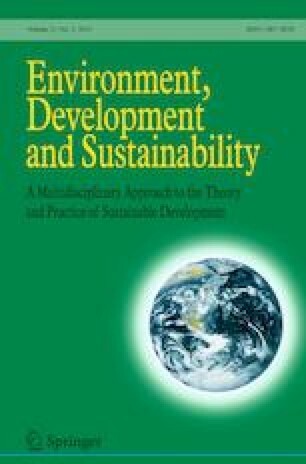 1–10 Available at: http://link.springer.com/chapter/10.1007/978-3-642-34234-9_1 [Accessed December, 9th, 2018]. Laben, C., & Brower, B. (2000). Process for enhancing the spatial resolution of multispectral imagery using pan-sharpening. US Patent 6,011,875. Available at: https://www.google.com/patents/US6011875 [Accessed September 24, 2018). Lafarge, F., Descombes, X., & Zerubia, J., (2006). Automatic 3D building reconstruction from DEMs: An application to PLEIADES simulations. In Proceedings of the ISPRS. Available at: http://www.academia.edu/download/30678958/T07-32.pdf [Accessed September 20, 2018]. Parcak, S. (2009). Satellite remote sensing for archaeology. Handbook, Available at: https://books.google.co.uk/books?hl=en&lr=&id=bMQga28QMIUC&oi=fnd&pg=PP1&dq=EO+technology+archaeology+application+review&ots=LWEmTFUjZe&sig=jFOMGbhmNFYgdUwTSGafTeSTATM [Accessed September 5, 2018]. Pendlebury, J. (1969). The archaeology of Crete, Available at: https://books.google.co.uk/books?hi=en&lr=&id=Yv3MklpeJSQC&o=ifnd&pg=PR23&dq=crete+itanos+minoan&ots=ArFpUKaJ9u&sig=390LOg8HG05JVaZXVxdRQUuvTi4 [Accessed August 25, 2016]. Schneider, E. (1982). Plunder or excavation? Observations and suggestions on the regulation of ownership and trade in the evidence of cultural patrimony. Syracuse Journal of International Law. Available at: http://papers.ssrn.com/sol3/papers.cfm?abstract_id=1938574 [Accessed September 19, 2018]. Tite, M. (2002). Archaeological collections: invasive sampling versus object integrity. Papers from the Institute of Archaeology. Available at:http://www.piajournal.co.uk/articles/10.5334/pia.189/galley/246/download/ [Accessed September 20, 2018].